This article broaches a few of the most important issues concerning child support in Virginia. The laws regarding this topic are primarily contained in the Code of Virginia §§ 20-107.2, 20-108.1, and 20-108.2. If a specific topic is of particular interest to you, be sure to further examine our website for other articles concerning the topic. The below list shows, in order, the stages of the child support process. 2. File a complaint. You can start the process by filing a complaint for divorce in your Circuit Court or a Petition for Child Support in your Juvenile and Domestic Relations (“JDR”) Court. 3. Prepare. Your attorney will meet with you to update you on the case and seek input. At Smith Strong, we meet with you at least twice. 4. Have a child support hearing. At the hearing, the court will review paperwork, hear arguments, and listen to testimony. 5. Decision. If you are in the JDR court, you will typically leave with a decision that day. In Circuit Court, the judge will make a decision, get one of the parties to draft the order, and then sign the order at a later date. Child support is generally determined through a computer program termed VADER, which takes into consideration things like both parents’ incomes, the number of children, number of days a parent has with a child, etc. and comes out with a guideline. Once a guideline is determined, it is presumptively correct and as a result there must be a proper legal reason to deviate from it, whether that be up or down. When contemplating deviating from the guideline, a judge may consider factors like support from family members, standard of living established previously, tax consequences to the parties, etc. The court must then give its reasons from deviating from the guideline if it decides to. Smith Strong’s website provides a “Child Support Calculator” under the “Info” tab that can give you an estimation of what a judge would award in your case. Gross income deductions lower your child support obligation. One example is spousal support payments--these will be deducted from your income and added to your ex’s income. Child support payments to a different child will also be deducted from your income. Often times child support orders not only require payment each month going forward, but also require that the first support payment be larger to compensate the receiver of support back to a previous date. This date will likely be based on the date of filing for the petition or complaint. Virginia child support calculations include the cost of health insurance for children. However, the calculations do not include unreimbursed medical expenses, which are things like co-pays and deductibles. 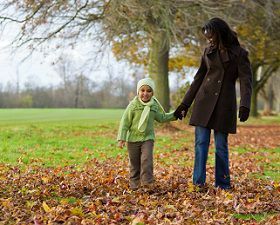 If the annual unreimbursed medical costs are $250 or under the custodial parent is expected to take care of it, but if the costs raise above $250 then they will be split on an income pro-rata basis. Income pro-rata means that if you make twice as much as your ex, then you will pay double the unreimbursed medical costs. One common conversation over unreimbursed medical expenses is braces and whether they are covered. There is no specific answer to this question because each determination will be fact specific based on things like a dentist’s recommendation or the necessity of the braces. The person disputing the braces would have the burden of proof because unreimbursed medical expenses are presumed reasonable. There are many expenses that come with raising a child and generally it will be up to the discretion of the court whether non-necessary expenses are added onto child support. Some of the most common add-ons are the decision between public and private school, extracurricular activities, and travel expenses. You can appeal if the judge made a legal mistake or failed to consider important facts. If your case was originally in JDR you can appeal to the Circuit Court. This is a smooth process since it is so common. If your case was originally in Circuit Court then the appeal process is more difficult, as you will be appealing to the Virginia Court of Appeals. Only a material change of circumstances after a child support order is entered can prompt a judge to consider modifying that order. The change in child support must also be in the best interest of the child. Virginia law lays out a non-exhaustive list of 9 factors that are considered to affect the child’s best interest. Some examples of those factors are physical and mental condition of both the child and the parents, the needs of the child, and the role the parent plays in the upbringing of the child. A third-party’s income does not directly affect the support agreement, but it is considered a deviating factor when determining a parent’s ability to meet his, her, or the child’s living expenses. A new spouse’s income is also important when the parent no longer works due to the income. Visitation of children and support of those children are two separate legal matters. Therefore, missed child support payments do not automatically constitute grounds for a parent receiving child support to keep the other parent from seeing his or her children for missed payments. On the other side of the coin, a parent who receives child support, but decides to refuse visitation to a parent paying child support, does then give the paying parent reason to stop following through on his or her obligation. Under these circumstances the victimized parent should notify the court so that it can address the issue. Missed child support payments can happen for a variety of reasons, but they cannot be waived, except in specific circumstances. A child’s right to be supported trumps the right of either parent’s waiver rights. A parent failing to provide support payments will be subject to discipline from the court, which can result in going to jail. Missed payments also accrue interest at 6% per year. This is a statutory standard. When a child turns 18 mandated child support payments stop, unless the child is a full-time high school student, not self-supporting, and living in the home of the party seeking or receiving child support. When a child turns 19 or graduates from high school, whichever occurs first, child support payments can stop, regardless of the previously mentioned exceptions. Even though child support is determined by a program, it is in your best interest to consult with an attorney regarding your case. In the end, the judge has the discretion on whether or not to follow the child support guideline and retaining an attorney will be your best chance at swaying the judge’s decision in your favor. Smith Strong can provide you an effective attorney that will be with you throughout the entire process by meeting with you, answering questions, and working his or her hardest to get the best result for you. Attorney Van Smith has also written a free book entitled Divorce and Custody in Virginia which can get your started on your journey. Access to this book can be found on our website under the “Info” tab. When you decide it is time to consult with an attorney Smith Strong is available at (804) 325-1245 or (757) 941-4298.